Herbs are plants, even those we might consider weeds, that have useful purposes. They may be used for flavorings, fragrances, pesticides, medicines or dyes. Succulent plants are generally recognized has having fleshy parts, such as leaves, stems or trunks; this fleshiness is a result of water storage in the plant’s tissues. Although there aren’t many plants that are both succulent and herbal, a few genera possess both qualities. 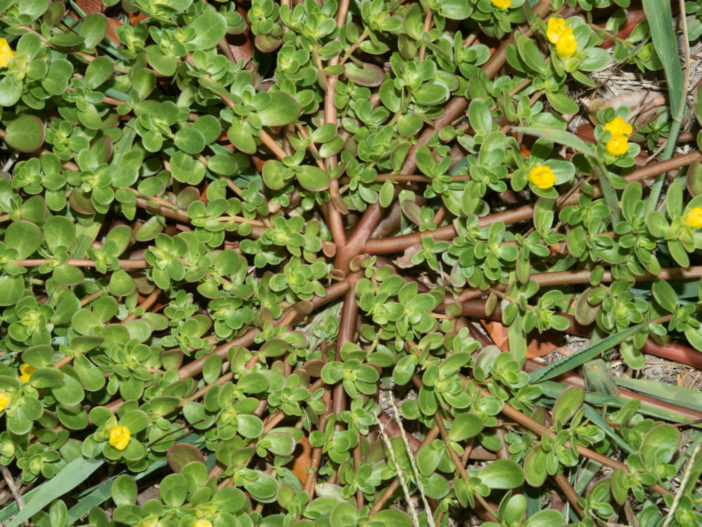 Purslane (Portulaca oleracea), hardy in U.S. Department of Agriculture plant hardiness zones 3 through 10, is one of those plants that are considered weedy by most gardeners. It has small, green leaves on fleshy red stems and stays low to the ground. It has a slightly sour and lemony flavor and is eaten in a variety of ways. Most people just eat it raw in salads, but it can be sauteed and seasoned in the same way one would cook spinach, and even pickled with garlic and peppercorns. It is also known as Little Hogweed. 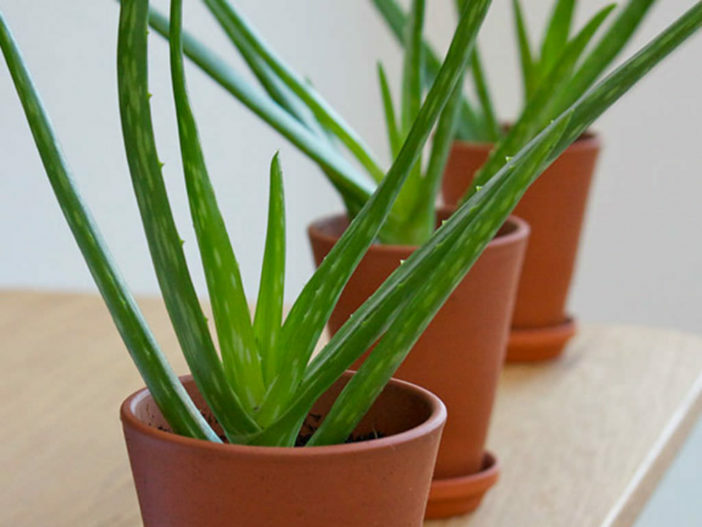 Aloe may likely be one of the more popular succulent herbs. Aloes form a rosette of thick, fleshy leaves with a slightly frosty blue-green color. Aloe vera is probably the best-known species. It is most often used as a houseplant but can be grown outside in USDA zones 10 through 11. Because it is not frost hardy, some people in zone 9 choose to grow Aloe ferox, which has much the same appearance but is slightly hardier. These Aloes are often used medicinally. The jelly-like substance that exudes from the cut leaves is often applied to minor wounds or burns. Indian Borage (Plectranthus aromaticus or Coleus aromaticus) is also called the All Purpose Herb. The leaves are strongly oregano-flavored but not particularly palatable for salads because of their fuzzy leaves. The leaves are commonly used to flavor meats; however, there are also some traditional medicinal uses as well. 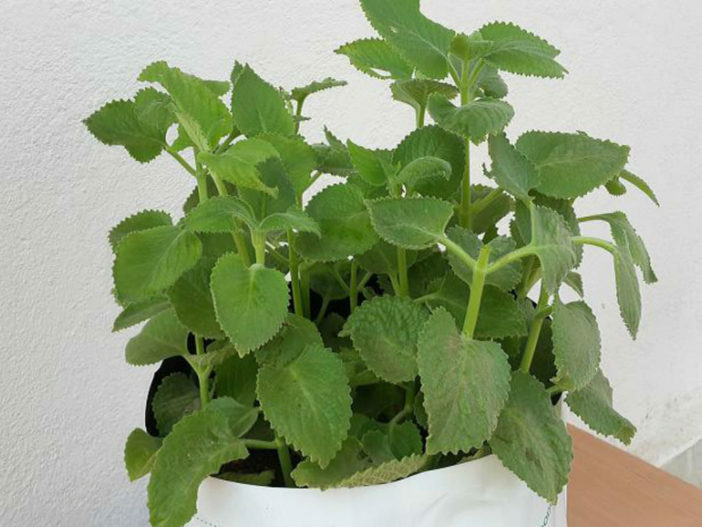 Cuban Oregano (Plectranthus amboinicus, also called French or Mexican Oregano) also has similar culinary and medicinal uses and has a similar flavor. There is a pretty variegated variety (Plectranthus amboinicus ‘Variegata’) that has a thin cream edge, making it an attractive garden plant. Both of these herb species are hardy in USDA zones 10 through 11 but are grown as annuals elsewhere. The herb Jewels of Opar (Talinum paniculatum) forms a mound of glossy green leaves and clouds of small pink flowers on wiry stems. The foliage is used medicinally and the tangy leaves are eaten fresh or sauteed. The cultivar Talinum paniculatum ‘Limon’ bears chartreuse leaves, and Talinum paniculatum ‘Variegatum’ has creamy white variegation. All are hardy in USDA zones 10 through 11. Samphire, or Sea Fennel (Crithmum maritimum), hardy in USDA zones 7 through 11, has feathery blue-green leaves and pale yellow flower clusters. Leaves are eaten fresh or pickled, and they have traditional medicinal uses as well.